SPECIAL ADDITION! DENNIS DUNBAR VS. RON MCCLEESE IN A HEAD TO HEAD DEBATE! Welcome, ladies and gentleman, to the MLFS Grand Casino. We have a fantastic match-up on the cards for you this evening. Writing out the blue corner, by way of The Ultimate Risk/Reward, we have Dennis “Double or Nothin'” Dunbar, and writing out of the pink corner by way of The Voice of Reason, we have Ron “The Remarkable” McCleese. These two fantasy heavyweights will battle it out for the title. Be sure & cast your vote for the winner at the bottom of the article. 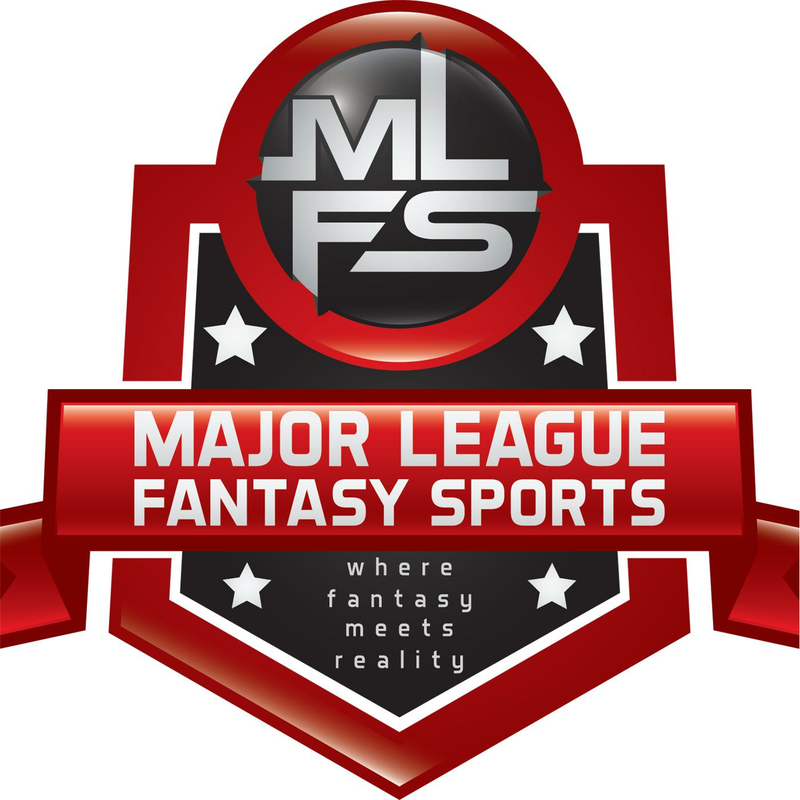 Each writer will be given 5 players to analyze, each round will consist of 1 player analysis, for a total of 10 rounds. Each writer will have to provide the pros for their players, and cons for opponents’ players. Each writer will have to support their argument with statistical analysis. Each writer will have to use his own gut instinct to land the knockout blow. Each writer will have a chance for rebuttal at the end of each round. Winner of the most rounds takes home the belt. Tom Brady – In the 4th quarter Tom showed he is still once, twice, three times The Brady. Owners were panicked in the first 3 quarters of the week 14 match-up against the stout Cleveland Browns D. Brady was without Gronk during most of the game and still put up 400 plus yards, 2 TDs, 1 INT, and a 2pt conversion. This week, the going is not so tough against the Miami D, which Brady has decimated every game against them. Vereen showed last week that he can shoulder the load left by the absence of Gronk. New England ALWAYS finds a way to win and put points on the board. I do limit Tom’s upside without Gronk, but he is still an elite QB that can shred the defenses at any given moment. Brady needs to be in your lineup during this crucial playoff match-up. Don’t get “too cute.” Trust the guy who has proven worthy time and time again. A 400yd multi TD game is on the horizon for Brady and his bunch. For starters, we’re talking about a low end QB1, who just lost his main squeeze in Gronk. If you don’t think Brady will miss him, then you’re obviously living on the moon. Let’s rewind back to the beginning of the season, when Brady struggled so much. He had a lot of trouble finding open receivers, and when he did, they would drop more passes than Darrius-Heyward Bey. So we’re supposed to believe that everything will be ok the 2nd time around? Can you say déjà vu? Are you really going to trust Brady and a stable of unproven WRs in the playoffs? Really, in the Playoffs? I’d rather invest in a QB who has more reliable targets and a juicy upcoming match-up with Washington in Week 15. Please welcome Matt Ryan into this heavyweight bout. Matt Ryan – Okay, I get that Matty Ice hasn’t been the same QB this year. He has been playing most of the year without his top WR stud, Julio Jones, and a gimpy Roddy White. The main difference now is that he has a healthy Roddy White and emerging complement in Harry Douglas, along with the always reliable Tony Gonzalez. Here we are in Week 15, and he gets the reeling Washington Redskins at home in the dome. The one and only team to hold Ryan under 290 yards passing this year in Atlanta was the Seahawks. He’s also passed for two or more scores in four out of six home games, which speaks volumes. He will shred the Skins weak secondary this week, which has already allowed 25 passing TDs this season. Also consider that Shanahan is threatening to start Kirk Cousins under center. This game has blowout written all over it. One thing is for sure; Ryan will have no problem this Sunday lighting up the Georgia Dome! Choosing Matt Ryan while criticizing Tom Brady is the pot calling the kettle black. Like Brady, Ryan has lost his best offensive weapons. However, unlike Brady, Ryan has only scored 20 or more fantasy points once since Julio went down in week 5, and that’s in 6pt per TD leagues. They don’t call him Matty Ice for no reason; dude is COLD. I agree that Ryan has a tasty match-up this week, but that’s nothing new. He has had several of them, and has still done absolutely nothing. You’re living in 2012 Ron! Roll with the HOT hand here and start Brady, whom Ron willingly called a QB1 over this QB2 of Matt Ryan. We will have to agree to disagree with these two QBs. Let’s move on to some RBs, so I can deliver another standing eight count. Gio Bernard – Welcome to the Jungle! Bernard is a fireball. I already know, Ron, he only gets 15 touches per game! OK, well it’s not the quantity it’s the quality. Gio is averaging 4.7ypc this season. He is hands down the best RB in Cincinnati. The Sluggish, Ruggish Bone, BenJarvus Green-Ellis, has been a speed bump. Similar to last years situation in Tampa, Gio will over take “Law Firm,” just as Doug Martin did LeGarrette Blount. Gio faces the suspect Steelers run D this week. As the weather in Cincinnati gets colder and colder, Coach Lewis will ride his young stallion into the AFC North divisional championship. With so much on the line and teams smothering A.J. Green, there is no way the Bengals are going to place their fate on the arm of one, Andy Dalton. Gio proved last week that all he needs is to be fed. Look for a ground and pound approach against the most hated rival in Cincinnati sports, The Pittsburgh Steelers. Pittsburgh got torched on long runs by Terrell Pryor (94yds) and Ryan Tannehill (48yds), both of whom couldn’t come close to Gio in a foot race. Gio is an RB2 with some serious upside this week. “Welcome to the Jungle” just about says it all! You’ll get lost in the jungle and get snake bitten trying to figure out who’s getting the lion’s share of carries in Cincy. How can you put so much stock in a player who isn’t even the starter and has yet to register a 100 yard rushing game? The Law Firm is still on the prowl in the jungle, and has 37 carries for 140 yards and 3 TDs over the past two weeks. Gio has 26 carries for 156 yards, and ZERO TDs over that same period. If I’m living in 2012, then Dennis is living in 2014 endorsing Gio, because he won’t be “THE MAN” until next season. I also don’t think Dennis can argue who’s getting the rock inside the red zone in the Queen City. I wouldn’t put blind faith in a player still in training wheels, and you shouldn’t either. Be smart and wait for the restraints to be lifted before starting Gio. Let’s examine an alternative to Gio who is getting ALL the carries and making the most of them. Enter Bobby Rainey in the Octagon. Bobby Rainey – He burst onto the NFL scene Week 11 vs. Atlanta with 30 carries for 163 yards and 3 TDs. Here is a player that is finally getting a chance and making the most of his opportunity. Since taking over as the unquestioned “lead” back in TB, he has had 30,18,17,and 22 carries respectively. He has shown great vision and the breakaway ability that Tampa RBs have lacked all season long. This was very evident when he took his 1st carry of Week 14’s game vs the Bills 80 yards to paydirt. I’m not sure what else this guy has to do to get noticed. He can start by making it RAIN and running over a stout 49ers defense Week 15. So the match-up may not be the best, but how can you argue with starting one of the hottest RBs in the NFL? He’s also averaging 4.3 yds a carry and is running possessed, like he just robbed a bank. Don’t make the mistake of discounting what this kid is doing. Go with the HOT hand on a team that desperately wants to run the ball to take the pressure off their rookie QB under center. Follow the arrow, and it’s pointing straight up for Rainey! Bobby Rainey? Okay, Rainy schooled the Falcons and Bills Defense. WOW that’s impressive. NOT!!! That’s the equivalent to riding a unicycle with training wheels. Is that something to boast about? He should run over those pedestrian defenses. If Rainey was so great, then why couldn’t he keep a roster spot on a Cleveland Browns team, that recruited it’s backfield straight out of the movie Cocoon? You take away that 80 yard run on a blown coverage vs Atlanta, and that leaves him with the stat line of 29 carries for 83 yds. That’s a monstrous 2.8 ypc. That’s awesome, if your name is Trent Richardson. Funny how you forgot to mention weeks 12-18’s carries (35yds, 1.9 ypc), and week 13-17’s carries (63yds, 3.7 ypc). Thanks, but no thanks. Rainey is your typical match-up play, and this week he draws the nasty 49ers D. San Fransisco is 10th against the run, so can you really trust Bobby Rainey in your line-up with the championship on the line? I think not! C.J. Spiller is the guy you want in your corner this week! C.J. Spiller – The Natural Born Spiller is sure to victimize and ravage the Jacksonville Jaguars. Like me in this title bout, Spiller gets stronger as the game wares on. Do you here Rocky’s theme song playing in the background as Spiller bounces back just in time for your deep play off run? Getting Strongerrr, dunna nah dah nah nah dunna dunna….You get the point. Fred Jackson’s rheumatoid arthritis is flaring up from Buffalo’s mighty winters. Spiller looks to shine in the Florida sun, as he burns the Jacksonville Jags D quicker than an albino’s back as he plays shirtless volleyball on a summer day. Don’t get too down on Spiller, Buffalo fell behind quickly and had to abandon the run this week. Spiller will have a similar stat line, as he did in week 13 vs Atlanta (149yds, 1 TD). Dennis, you’re going to need some serious medical attention after this round. I think you’re starting to lose your mind from the repeated blows to your head…or maybe you were just dropped on your head as a baby. Are you seriously telling readers that Spiller is safe to start in the most important week of the fantasy football season? Spiller is the definition of match-up based starter. Playoffs call for high upside plays and consistent producers, both of which Spiller isn’t. He’s the polar opposite, and has had less than 15 carries in 9 games this year and hasn’t recieved more than 15 since Week 4 vs. Baltimore. I would say he’s a boom or bust type player, but he’s yet to boom with the exception of week 13 vs. Atlanta. On the flip side, he’s the poster boy for “BUST” this year. Stop listening to “Dennis The Menace” and come to your senses. Avoid Spiller like the Bubonic plague. I have a player that will come ready to fight and get the job done for his owners. And now stepping into the corner in Lightning Bolt boxer shorts is Ryan Mathews! Ryan Mathews – This is when this bout is about to get really ugly. We may have to stop for a short break to clean up all the blood. Ryan Mathews is coming off a season high 29 carries for 103 yards and a TD vs the Giants. He’s quietly had a breakout year while staying healthy. Guess who plays the Denver Broncos on Thursday Night Football? Yes, that would be the Rivers-led San Diego Chargers. This is the same Broncos team that allowed CJ2K and Shonn Greene to rush for 3 TDs in Week 14. The Chargers will have to put up plenty of points this week to keep up with Peyton’s Broncos in what should be an AFC West shootout in Denver. Denver has allowed a rushing TD in every game this year except week 10 vs the Chiefs. Have no doubt, Mathews will be heavily involved in the running and passing game on the short week. Over the past month, Mathews has played 142 snaps compared to Woodhead’s 109, and this trend will continue. Mathews is an excellent PPR option and rock solid RB2 this week. Take my advice and choose to ride the Lightning Bolt to victory! Your lighting bolt is more like a flash in the pan. Ryan Mathews is the proverbial punch-line for BUST. This is the same guy who had more broken collarbones last year than TDs, two to be exact. I know that was last year, but still Mathews could go down with a hang nail at any moment. With 20 receptions on the year, I would hardly call Mathews a PPR gem. Matter of fact, I’d rather commit to Danny Woodhead. That brings me to the next question about leaving a pansy like Mathews for Danny. Woodhead count as cheating? Not in this case, because Mathews has been very unfaithful to his owners. Go ahead and start him if you’re comfortable with 5-7 fp. You said it yourself Ron, San Diego will have to pass all game. Well if you would get over your concussion-like symptoms I caused in round 2, then you would know that’s Woodhead’s gig. Your lucky the bell just rang, because I definitely had you against the ropes. That brings me to my next TKO in Jordy Nelson. Jordy Nelson – My gut tells me Aaron Rodgers will be back this week. Nothing official just yet, but even with Flynn, Jordy still has a ton of upside. Nelson was a top 3 WR before Rodgers suffered a broken collarbone. The Packers are chomping at the bit in a wide open NFC North, that has yet to have a team clinch the Division. Keep in mind Flynn has only been with the team a few weeks. He looked a lot more comfortable last week than he did on Thanksgiving Day. Jordy’s stat line was also the best it has been since Flynn took over. Jordy is still the #1 WR for the Packers. Nelson draws the Cowboys, who are 170 yds away from having the worst defensive season in NFL history. Dallas has surrendered 490 yds five times this season. That’s staggering, considering no other team has given up more than 1 this year. Jordy is due, and the engine is primed for him to take off. I assume if you own Jordy, then he was instrumental in getting you in contention. Go back to the basics. You will never forgive yourself if Jordy blows up on your bench and you get knocked out of the playoffs quicker than Ron did in this article. Float like a butterfly, sting like a bee If you wanna win your championship, stick with Jordy! Dennis, you’re killing me smalls! You aren’t even in the same weight class as me, but if you really want to stay on the ropes, I’ll gladly oblige. First off, I will go ahead and burst your bubble about Rodgers coming back this week. He said in an interview Tuesday that he still felt pain making “simple movements” in practice last week. Just reading between the lines, he doesn’t sound confident he’ll play this weekend unless his pain miraculously goes away. Regardless, we’re talking about Jordy. And since we are, let me bring up the fact that he’s had only 10 receptions total over the past 3 weeks. With Flynn under center over this same time span, he’s failed to catch more than four passes in a game and is only averaging 52 yards per game. He also hasn’t scored a touchdown since week 8 vs Minnesota. How can you possibly trust a guy who has a QB fresh off the street throwing to him? It’s obvious Jordy is worthless until the Packers’s fearless leader returns. He’s a Hail Mary WR3 at best! If you’re a smart owner and you’re playing to win, then you have to do the right thing and bench him. If you made it this far, you must have better options on your bench; which brings me to the anti-Jordy Nelson. May I introduce the new target monster in Denver, Eric Decker! Eric Decker has become Peyton’s new go-to WR over the past couple of weeks. After a slow start to the season, he has exploded in December with 16 catches on 24 targets for 291 yards and 5 TDs. If this is any sign of things to come, then Decker will be a fixture on many Fantasy Football Championship teams. Decker is getting HOT at exactly the right time and owners need to take notice. The main issue earlier this year was that Decker wasn’t getting a consistent amount of targets on a weekly basis. This will NOT be an issue this week since Wes Welker is doubtful, due to his 2nd concussion in the past month. With the NFL’s new concussion protocol in place, Welker will most likely not be cleared to practice until Friday morning, making him a long shot to play Thursday night. As I touched on previously, this game will be a classic AFC WEST shootout, with gunslingers Manning and Rivers tossing around the pigskin like crazy and putting up Madden-like video game numbers. The Chargers defense is giving up the 5th most receiving yards in the NFL and have allowed 20 receiving touchdowns. All of these elements add up to create a perfect storm, allowing Decker to put up monster numbers for the 3rd consecutive week. Just like the best boxers in the sport, Decker is saving his best blows for the late rounds. Place your bets on Decker now and reap the rewards that will follow in the form of a Fantasy Football Title Belt. Decker has a tendency to disappear during games. I believe Welker being out hurts Decker’s upside. Wes softened up the middle of the defense for Decker to run his patented slant route. Denver has 2 goals on offense: First, get the ball in Demaryius Thomas’s hands on bubble screens; Second, get their running game going. The temperature will be dropping down in the mid 20’s or lower 30’s during the game. These chili temperatures seem to slow down Peyton Manning’s passing ability. Decker is dependent on big plays. With no Welker, the safety will be able to play cover 2 on the outside receivers. I wouldn’t throw in the towel on Decker, like Ron’s corner has to stop this beating I’ve given him, but I would consider Decker a WR3 with upside. If I am choosing between Decker and Jordy this week, it is Jordy 100%. The gloves are coming off with this next player. Introducing KEENAN ALLEN (in my Bruce Buffer voice). Keenan Allen – Those of you who have read my work know my thoughts on Allen. Allen is the favorite to win Offensive Rookie of the Year. If you have followed Philip Rivers’s career at all, then you know he finds one guy that he can trust and force feeds him the ball. Well, Allen is that guy. Rivers made a crippled Danario Alexander relevant last year for fantasy owners. Allen has a much higher pedigree than Alexander does. Allen is 95yds short of reaching 1,000 on the season. That’s pretty remarkable for a rookie to do. Allen had a very slow start, but once Malcolm Floyd went down, he has been ballin’. Allen reminds me of A.J. Green. He is long, lean, has good speed, a very polished route runner, and has excellent hands. Allen will be in the top 15-20 WRs taken off the board in next years fantasy drafts. Stop second guessing yourself on Allen. He will deliver. San Diego faces Denver, who will put multiple points on the board. Rivers will have to air it out more than Ron’s jock strap after this pummeling I gave him. So if you’re looking to attack, execute, and defeat your opponent, then Keenan has to be in your line up. I can’t wait to hear Ron, aka “Muhammed Ugly,” try to defend himself after this chin shot. As we near the end of this heavyweight title bout, it’s time to separate the contenders from the pretenders. Anyone who knows me, knows I have a very hard head and will take a blow and get right back up swinging. The real question now is if Dennis can get back up? Dennis has had a man-crush on Allen all year long, so I expected this face-off. Allen has been a major surprise, but the major concerns I have about him are that he’s soft and very injury prone. For starters, he sustained a Grade 2 PCL tear in October 2012 while still playing for Cal, costing him a chance to workout at the 2013 NFL combine. I give him credit because some people thought his career was over at that point, but he came back. He sprained his shoulder in week 14 and hyperextended his knee in week 11. His latest injury does concern me, since he has less time to heal up for Thursday night. Will he hold up on the short practice week and make it through the entire game? Well, I don’t have the answer to that question, but what I do have is a bona fide WR that I can gaurantee will play four quarters and bring home the fantasy bacon. Alshon Jeffery – He has finally arrived in the Windy City! Going into Monday night’s game vs Dallas, he had 32 receptions over the past four weeks, for tops in the NFL. Monday night was brutally cold in Chicago, but that didn’t stop him from catching 5 passes for 84 yards and a touchdown. For the second week in a row he made one of the most spectacular catches we’ve seen all year. I’m starting to believe that Brandon Marshall really knows what he’s talking about when it comes to Jeffery. He claimed that Jeffery would shatter every Chicago Bears receiving record before it’s all said and done, and he’s doing just that. Speaking of Marshall, don’t worry, there are plenty of balls to go around in Chicago. The Bears are modeling their new Trestman-built offense after the New Orleans Saints West Coast offense and passing is the name of the game. To put this into perspective, Alshon has had 9, 15, 7, 11, and 18 targets over the past five weeks. He’s the best WR2 out there in fantasy, and by all accounts is putting up WR1 fantasy numbers. There is little doubt who Josh McCown’s new favorite target is, and until Cutler returns, he will continue his assault on opposing defenses. Having Marshall opposite Jeffery confuses opposing defenses, and no one has yet to figure out how to stop them. The Bears play @ Cleveland in Week 15, and my guess is that Joe Haden will have his hands full covering Brandon Marshall. Once again, this creates a major mismatch and opens the door for Jeffery to ball out as usual. It’s just another day at the office for Jeffrey. There’s not a hotter fantasy WR in the league right now, with the exception of Josh Gordon. Just sit back and enjoy the show, and let Jeffery do all the work. Sorry to inform you Ron King, but the Josh McCown experiment is coming to an end. Coach Marc Trestman has already confirmed that Jay Cutler will remain the starting QB in Chicago. This severely cripples Jeffery’s upside. Cutler will rely on his “brutha from anotha mutha,” Brandon Marshall. Jeffery has caught a lot of people off guard with his high level of play. Report last year was he was softer than Ron’s abs, which are marshmallow soft. Jeffrey has played weak secondaries all season. Matter of fact, I would say the NFC North is the 2nd weakest defensive division in football, only behind the NFC East. Jeffery is generating a lot of buzz, so I imagine he will draw one of the best corners in the game, Joe Haden. Even if Haden shadows Marshall, Buster Skrine is no scrub. Skrine is amongst the top scorers in most IDP formats. Throw in T.J. Ward, the knee buster himself, and I say Jeffery will be held without a TD. The yardage may be there, but Cleveland is pretty good against opposing wideouts in the red-zone. Well, this has been a hard fought battle. I will say you got heart, Rock. DING! DING! DING!!! That’s the end of the write, here at the MLFS Grand. We have yet to declare the winner. We would like you, the audience, to weigh in on this battle of two fantasy warriors. We hope this has been informative and entertaining. There are a few players listed that were really hard to find fault in. We compiled a list of guys we believe in this week, and gave valid reasons why we liked the one over the other in a fun and creative way. I hope you tune in next week to find out the results. Please rock the vote. Until next time, Ron McCleese and Dennis Dunbar wish you the best of luck in your playoff run. May the fantasy Gods be very generous to you. I have it 6-4 in favor of Dennis “The Meat Man” Dunbar!